Conducted in person, on the telephone, and through Yahoo Instant Messenger. Below is a list of descriptions and prices. Call (770)670-0197 or email valerie@psychicmediumvalerie.com to set up a reading today! Psychic Readings can be a very valuable tool to help you make wise decisions in your life on health, business, finance, home, personal affairs, love / romance, and life path / intuitive life coaching. Intuitive Dream Interpretation is also offered. The pain of losing a loved one can leave us with many questions in our heart. Death can test our faith of everything we believe in. “Is there really life after death or when we die, is that it? Is there really a God and if so, how could God allow this to happen? Are the dead still with us? Can they see what is happening here?” These are common questions that weigh on the hearts and minds of those left behind. Valerie asks that you to please know that you are not alone in your time of grief. Our loved ones do have to move on, as there is much work to be done on the other side, but our loved ones tend to stick around to see us through the difficult times, and to help comfort us during those times of grieving and need. Often times, they are right there through our most intense life trials. Valerie can help connect you with those who have moved on to the spirit world. She can help to clear up any misconceptions that may be weighing on your heart and mind regarding your loved ones passing. Valerie can help connect you to your loved one, so that you might heal and know that there truly is life after death, restoring your faith in God. All Medium Readings Require at Least an Hour ~ Individual Reading Charge is $150.00 to $200.00 depending on time it takes. There is no further charge if it goes beyond 90 minutes for individual medium readings. Family Readings are $150.00 for the first person and $75.00 for each additional person. Family readings take longer than a individual reading, and the amount of time can be discussed when the appointment is scheduled. 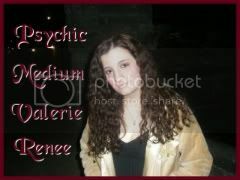 Valerie is also available for parties, paranormal investigations where a medium is needed, and crossing over events in the Atlanta, Ga. area. It is both a healing session and a reading in one! 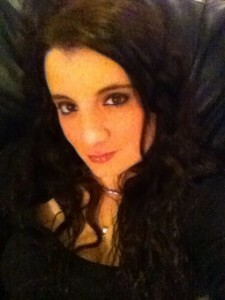 Valerie is both a Reiki Master and a Pranic Healing Practitioner, and uses techniques from both in her Intuitive Healing Sessions. She also often employs the use of healing crystals. During Valerie’s healing sessions, there is communication with the spirit world as well as interaction with the individual’s energy on a psychic level. She may communicate, empathically, psychically, and mediumistically during the session, as all of her senses often become involved in the healing process. In this process she will scan the individual’s chakras / energetic centers, and may discuss the emotions connected to that spiritual energy. She will also scan for any physical and / or health problems, so she knows exactly where to focus the healing energy. A healing session with Valerie can be both enlightening, as well as healing and soothing. I also regularly work on Keen giving psychic readings at pay per minute rates, which can vary depending on sales I might have going. Customers new to Keen can get their first 3 minutes free! Links below will get you to my most active listing under Psychic Mediums.